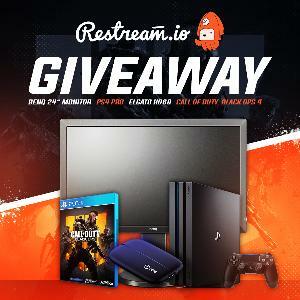 Prize: BenQ 24" Gaming Monitor; PS4 Pro 1TB Console; Elgato HD60 Capture Card; Call of Duty Black Ops 4 (Choice of Platform). Statistics: This contest was opened by 193 and entered by 15 ContestChest.com members. 8% of those who opened the contest, entered it.